Nike and Kobe Bryant today premiered an all-new trailer previewing the upcoming Black Mamba film and confirmed the films launch during the 2011 All-Star Weekend in Los Angeles. The Black Mamba, staring Kobe, Kanye West, Bruce Willis, Danny Trejo, is a Nike Basketball production, directed by Robert Rodriguez. The film brings Kobe’s alter ego, the Black Mamba to life in a way that’s never been seen before. 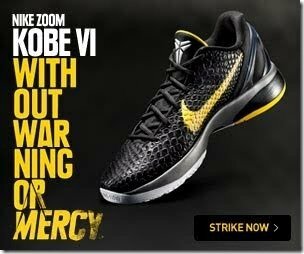 As the trailer shows, The Black Mamba highlights Kobe’s everyday determination and “fight to the finish” spirit. The film also showcases Kobe as one of the best basketball players in the world, featuring him as a “protector" of basketball as he fights off those wishing to destroy and attack the game. The first and second trailers can be seen http://www.youtube.com/nikebasketball. 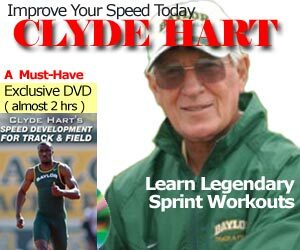 The film will be launched to the public on Saturday, February 19, 2011, at 1:00 am PST. Fans can sign up via http://nikebasketball.com to be the first to see the film. The film was created in partnership with Wieden+Kennedy of Portland, Ore., and will be supported by cinema, print and out-of-home extensions. Nike’s All-Star Pre-Heat event also unveiled several new colorways of the Nike Zoom Kobe VI including three commemorating neighborhoods in and around the site of the 2011 All-Star Game in Los Angeles. Representing and drawing inspiration from East LA, Orange County and Hollywood, these footwear styles pay homage to the unique sprit of these distinct Los Angeles neighborhoods. Each of the three Kobe VI colors leads a pack of iconic Nike silhouettes including two Hyperfuse and the Air Force 1. The Nike Zoom Kobe VI is a performance basketball shoe inspired by the black mamba. The design draws cues from this fearsome snake and incorporates key performance elements in a low-profile shoe that weighs just 10.6 ounces in a men’s US size 9. Also featured at the event was the Nike Sportswear K.O.B.E True Colors collection whose designs depict an iconic athlete’s road to success, as a collection of staple outerwear and apparel, delivering the very best blends of form, function and personality. With education as the graphic foundation, this is a lesson in Kobe’s life and inspirations delivered differently. This collection is inspired by the battle for knowledge of self, challenging the status quo and celebrating those who destroyed barriers to get to a new space. The East LA and OC colorways are now available at retail throughout the US; with the third in the pack the – Hollywood colorway – launching February 11, 2011. All three styles will also be available on Nike’s online retail site www.nike.com.